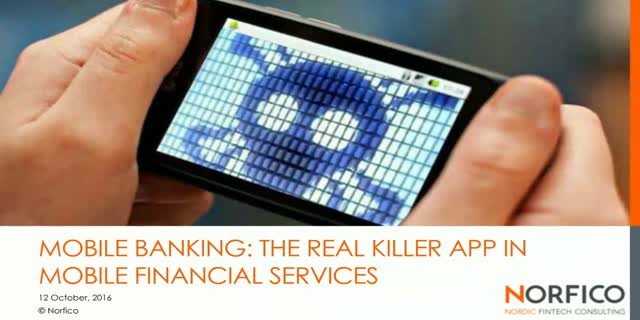 Mobile Banking - the real killer-app in Mobile Financial Services? While Mobile payments solutions get most of the attention, despite relatively little user uptake, mobile banking has taken most of the world by storm and is now the most frequently used banking channel in many markets. Combining mobility with usability and innovative services e.g. in the PFM space has made mobile banking a true success. Finally, as demonstrated by the mobile only challenger banks entering the scene mobile banking has become an important battleground for customer acquisition and retention. Title: Mobile Banking - the real killer-app in Mobile Financial Services?